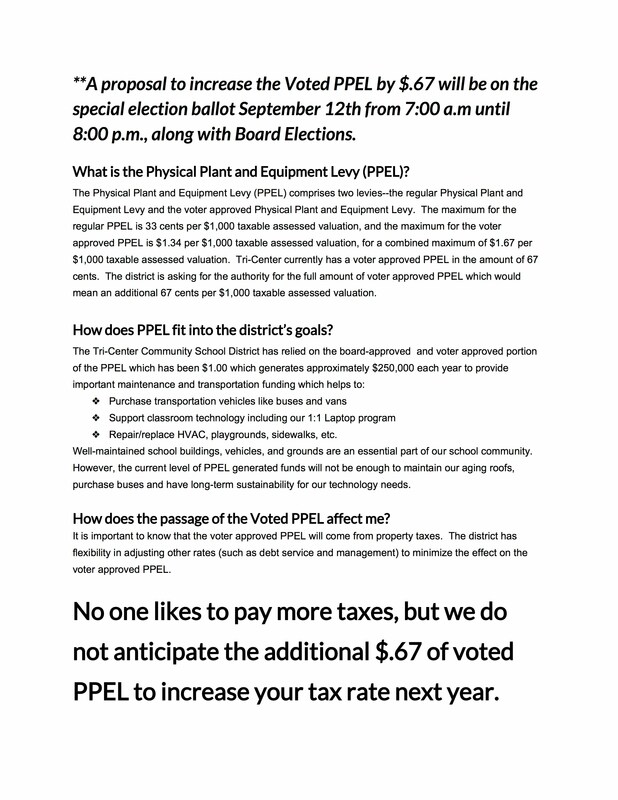 A proposal to increase the Voted PPEL by $.67 will be on the special election ballot September 12th from 7:00 a.m until 8:00 p.m., along with Board Elections. The Physical Plant and Equipment Levy (PPEL) helps Tri-Center fund transportation, building and grounds, technology, and other needs. A complete information sheet is available in PDF format below. 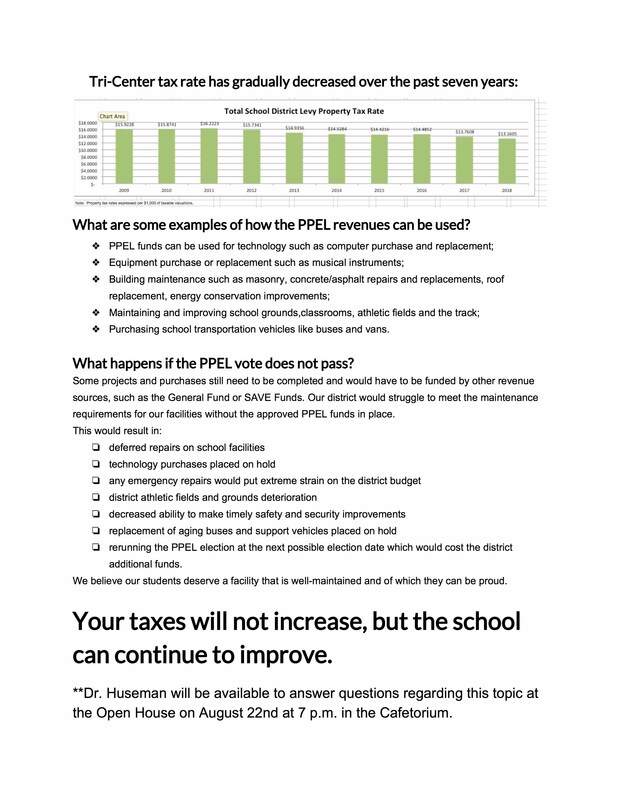 The images below have details on what PPEL is, how Tri-Center benefits from the levy, and how it affects patrons in our district.